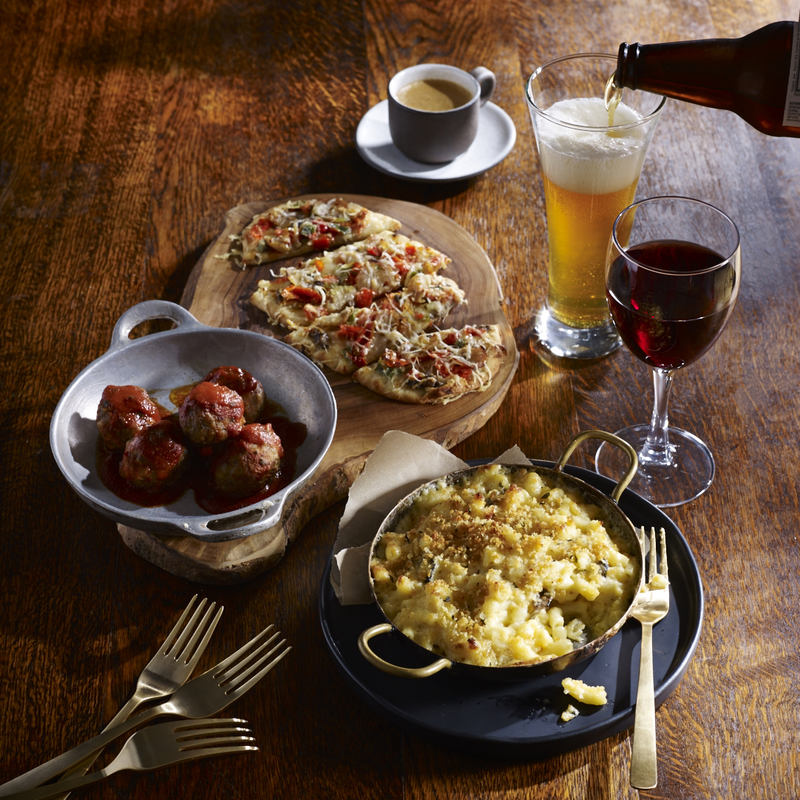 Three Starbucks locations in The Woodlands will begin serving beer, wine and small plates, including meatballs, flatbreads and mac and cheese, starting this fall. 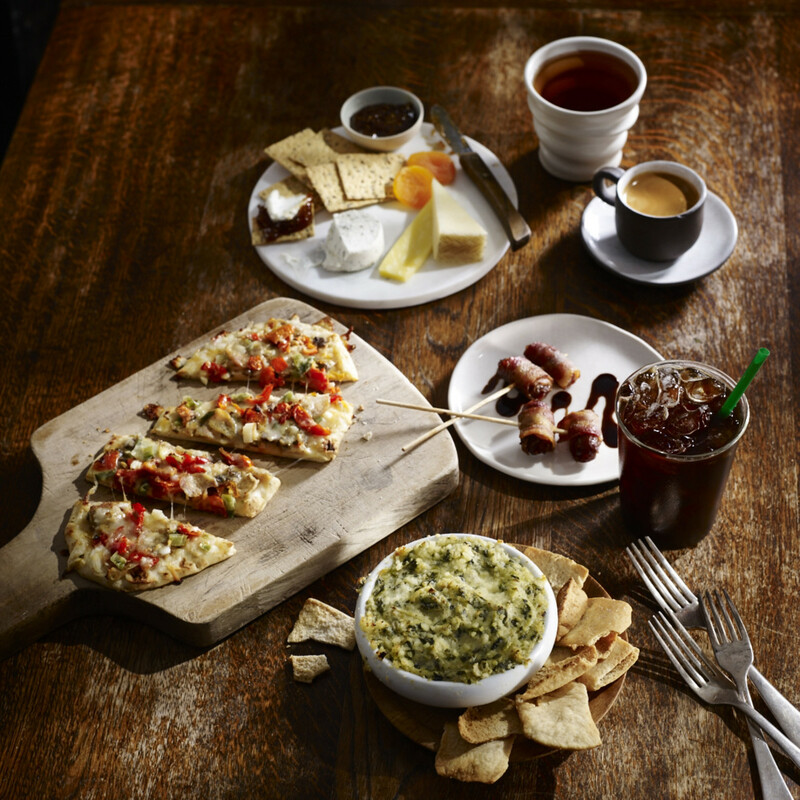 Starbucks Coffee Co.
Artichoke and goat cheese flatbread, a cheese plate, bacon-wrapped dates and artichoke-spinach dip are some of the small plate options to be offered. 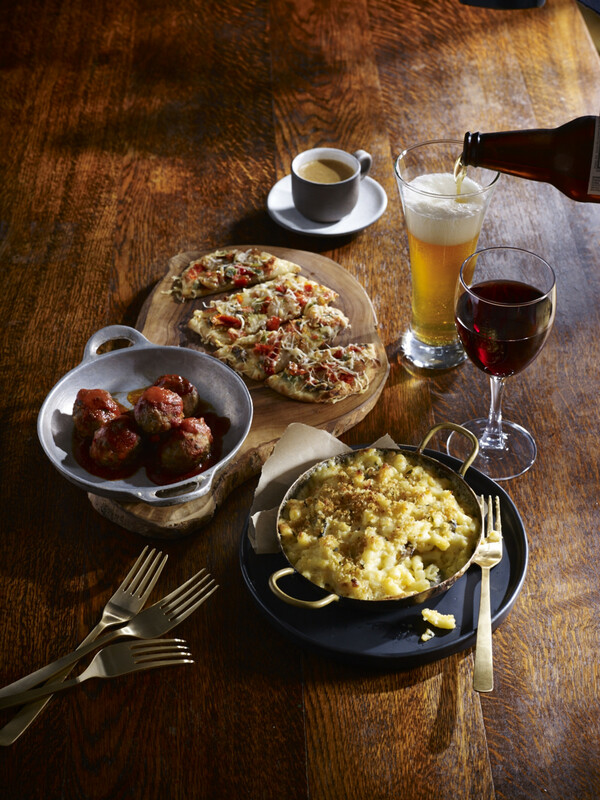 Starbucks Coffee Co.
Starbucks Coffee Co. is set to expand its new Starbucks Evenings program — which includes service of beer, wine and small plates — to three locations north of Houston starting this fall. 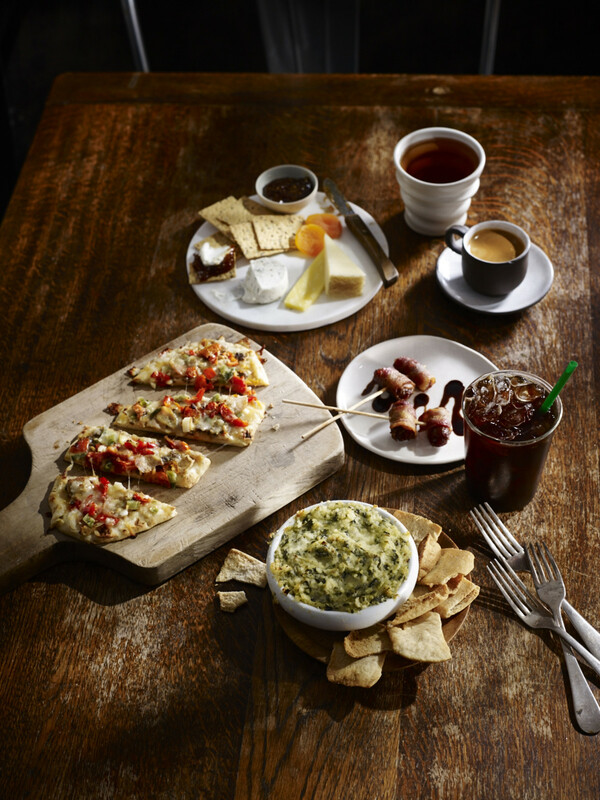 Starbucks' location on Grogan's Mill Road at Sawdust Road, one at Woodlands Parkway near FM 2978 and another at Kuykendahl Road and Louetta Road in Spring will be the first area locations to feature the Starbucks Evenings menu. The wine and craft beer assortment will reflect tastes in various regions, meaning that the beer and wine served in Houston will differ from the selection available in Chicago or San Francisco. 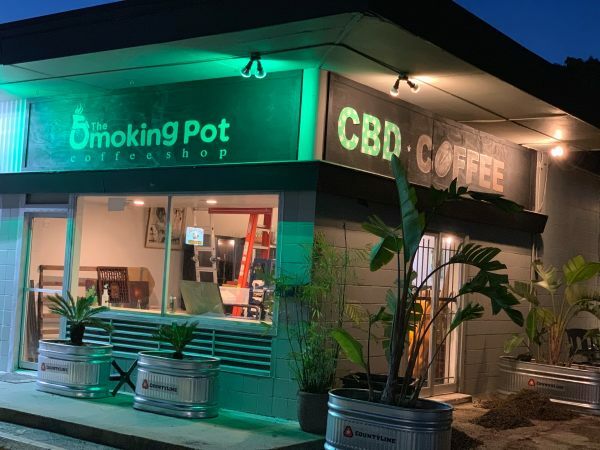 The program — which was first introduced at one of the coffee giant's stores in Seattle in 2010 — is currently being tested in certain markets before the company gradually introduces the concept to stores across the country. 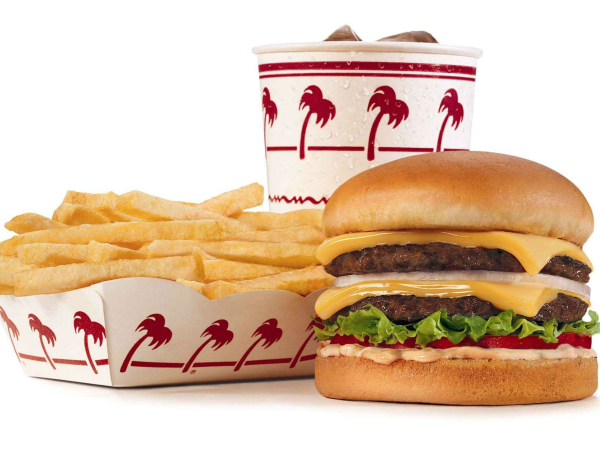 While the first Houston-area locations to offer the evening menu are located in The Woodlands area, other area stores are expected to feature the menu starting next year. The wine and craft beer assortment will reflect tastes in various regions, meaning that the beer and wine served in Houston will differ from the selection available in Chicago or San Francisco. Locations featuring the Starbucks Evenings menu will include sparkling, white, sparkling rosé and red wine varieties, according to a sample menu. 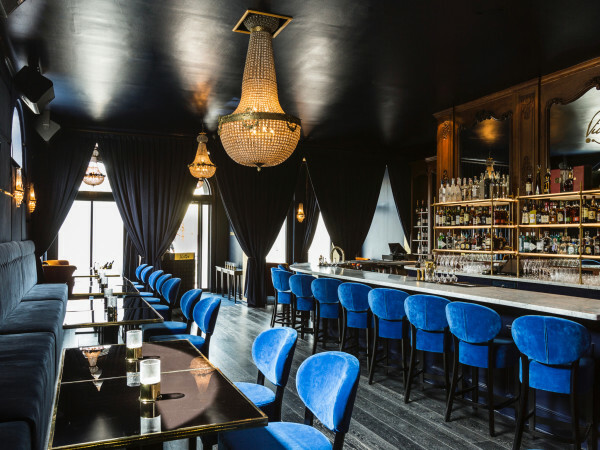 Small plate options will range from truffle mac and cheese and chicken sausage and mushroom flatbread to bacon-wrapped dates and cheese and salumi plates, with each option totaling less than 500 calories, according to a press release from the company. The Starbucks on Grogan's Mill has already added shelving for wine storage and a fridge for the beer and food, and baristas have also gone through training on how to properly serve the alcoholic beverages and will be trained on plating the small meals, according to a report in the Houston Chronicle.